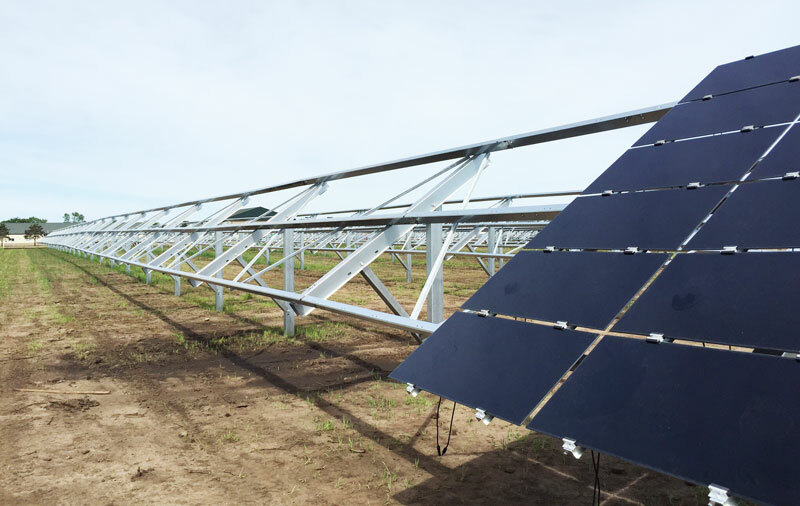 NEW YORK, NEW YORK –July 18, 2016 – GameChange Solar announced that its pile driven and ballasted racking and tracker systems have become the favorite choice for EPCs, utilities and developers nationwide for mounting First Solar Series 4 modules. GameChange has received orders for 200MW YTD and expects to ship over 300MW for the full year. “We are pleased to see such a rapid adoption of our racking and tracker systems supporting First Solar Series 4 Modules. We also expect substantial growth in 2017 for systems supporting both First Solar Series 4 and First Solar Series 5 modules. Our systems support all standard framed and frameless modules, making GameChange Solar a one stop shop for installers, EPCs, developers and utilities seeking bankable quality at value pricing for all their fixed tilt and tracker needs”.